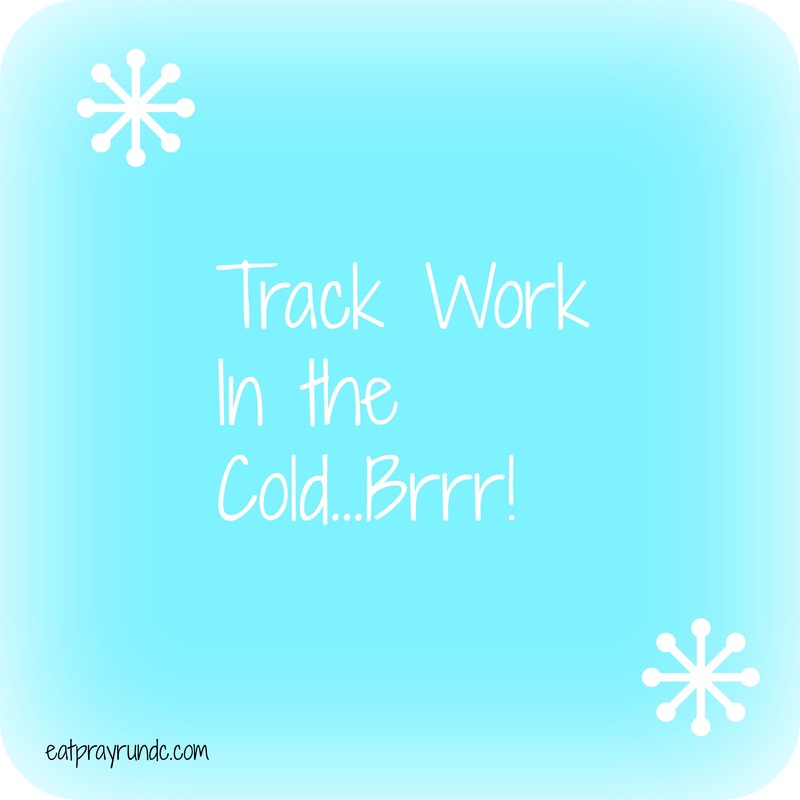 Last Thursday was my first track workout in this new marathon training season. I was of course nervous…but as it turned out, it was really really fun! We followed up our fun track workout with a great long run on Saturday morning. 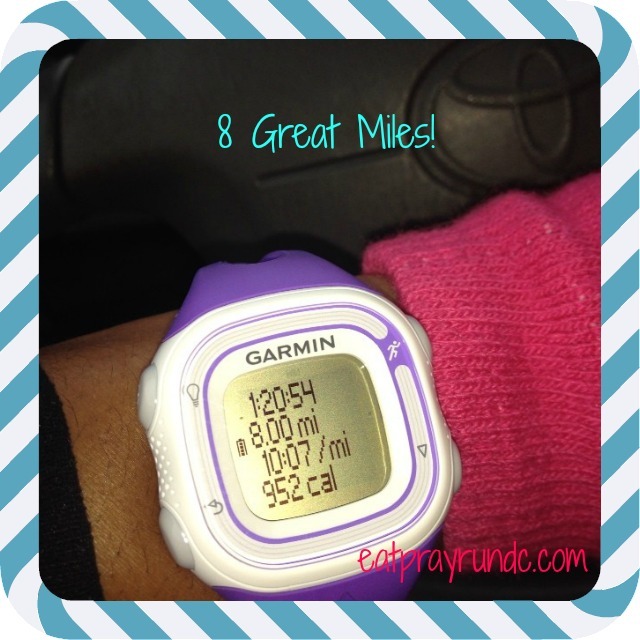 8 miles, 80 minutes. (okay, technically 80 minutes & 54 seconds). This run was awesome because mid way through we ran into the Humane Society walking / running with a group of adoptable dogs. That was a really fast mile for me because I just kept running and going “puppppppy!” every few feet. Pretty cool! This was also the first time I’ve run for any real length of time without music. It actually wasn’t that bad, mostly because I ran again with Anne, my buddy from the track. * A standard track is 400 meters. 1600 = 1 mile. So we ran about 3.25 miles in total. Update: I just did some googling and found more information about the folks running with the dogs that I spotted. Here is the link to the program’s page. I’d encourage you to get involved with this awesome group — I can’t wait to be back in Rock Creek next weekend to see the dogs again! Do you do track workouts? Do you listen to music when you run? Meranda@fairytalesandfitness recently posted…More Giveaways for You! Yes, most public school tracks are open to the public. A quick google search should confirm. I bet there may even already be a running group using a track near you! Ahh puppies!!! That sounds awesome – talk about a good distraction on a long run. Also, track workouts have quickly become my favorite kind of workouts over the years! I always get so nervous before them no matter how many times I’ve done the same workout, but then I feel amazing after…well amazing and exhausted lol. I have actually started to get out of the habit of listening to music. It’s refreshing to just have the sounds around you to listen to. Betsy recently posted…365/350: Mini Golf Fun! That’s great!! Looking forward to the track this week and the long run Saturday. I am still loving the track!!! Nice work! Thank you so much for that link!!! I’m so excited about this program you have absolutely no idea. Nicole — if you check it out, PLEASE let me know! I’d love to hear how it goes! Aw, I’ve heard of the dog runners before. What a great way to volunteer! If I ran I’d definately have to listen to music. That’s a great running/dog program! I run with my dog – she loves it! My dog is too small to run with, sadly. So we just do the snuggle portion. Karen @karenlovestorun recently posted…Morning, Noon or Night?